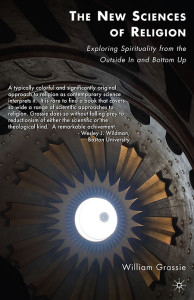 A Review of Robert Ulanowicz’s Third Window: Natural Life Beyond Newton and Darwin (Templeton Foundation Press, 2009). Reading Robert Ulanowicz’s book – A Third Window: Natural Life Beyond Newton and Darwin – is a humbling experience. The breadth and depth of the disciplines that he brings to bear on these grand intellectual problems are impressive. His proses are powerful and often profound. His proposal to replace a mechanistic and reductionistic metaphysics of science with what he calls “process ecology” is trenchant. It is my task, however, to review his arguments and in so doing to pose some critical questions for further reflection and an on-going conversation. 1. The operation of any system is vulnerable to disruption by chance events. 2. A process, via mediation by other processes, may be capable of influencing itself. He proposes a number of corollaries to these three fundamental principles of science. First, his process ecology “window” leads to a shift from fixed laws to descriptions of processes. Second, he see “agency” in nature residing in “the configuration of propensities.” And third, he understands patterns and forms in nature as the result of “agonistic tendencies” and “dissipative losses” (p. 116-118). I would now like to pose five sets of questions for discussion. First, I want to argue that it is the very success of reductionistic and mechanistic biology that allows us to talk about getting beyond it to something like Ulanowicz’s “Third Window.” Second, I want to examine what kinds of universality remain in the scientific enterprise after we have deconstructed the old metaphysics which Ulanowicz criticizes. Third, I want us to ponder together the implications of building this new metaphysics upon “agonistic tendencies” and “dissipative losses.” In other words, how do we understand the Second Law of Thermodynamics in our process metaphysics. Fourth, I want to discuss the uses of the terms “random” and “chance” in Ulanowicz’s definition of process. Fifth, I want to examine process ecology as a political and practical undertaking in the twenty-first century. How might these scholastic debates matter (or not) to the practical global challenges that motivate Ulanowicz, me, and, I suspect also, many of readers. It is worth reflecting what is not captured in this video. First, there are no colors at this nanometer scale, as visible light does not reflect at the scale of polymers, a scale which in any case requires significant magnification to be visible. Second, the biochemical cascades inside the cell occur at a frenzied pace of a trillion reactions per second. The animation slows all of this down, so we can visualize these processes. Third, there are no empty spaces inside the cell, as presented in the video. The inner life of the cell is tightly packed with all manner of manic molecules bumping into each other. Mechanistic biology has been incredibly successful and it is this very success that leads to an explosion of complexity. We need to distort the reality in order to comprehend it. The problem is not mechanistic biology, which we should push as far as possible. The problem is a mechanistic metaphysics, which we have ever more scientific reasons to question. Ulanowicz argues that “universality remains foreign to the world of process ecology, which appears granular in all directions and dimensions” (p. 151). While I am sympathetic to this more postmodern and perspectivalist epistemology, I want to argue that a lot of “universality” remains in the domains of science, even if the last fifty years in the philosophy of science have rid us of the pretenses of Neo-Positivism and a certain scientistic chauvinism. First, we need to recognize that the philosophy of science is to the practice of science what linguistics is to the competent use of a human language. In other words, one can be an excellent scientist and know nothing of the philosophy of science, just as one can competently speak, read, and write a human language and know nothing of linguistics, or for that matter, even formal grammar. The philosophy of science, however, is necessary for translating between the different domains of science, for understanding the differences between different sciences and different non-sciences, and for the responsible interpretation of science in human cultures. The philosophy of science is not necessary for doing “good enough” science. I do think it is useful and sometimes essential for doing “great” science. That many of our colleagues advocate a philosophy of science that has been falsified is a political and educational problem, but no longer a subject of serious philosophical debate. The consensus in the philosophy of science today might be called pragmatic operationalism or instrumentalism. In this view, there are many different scientific specializations, each one having its own methods and history of discovery. Different sciences have different rules of evidence and verification, different peer-review processes and standards, different professional associations and journals. Depending on what one wants to study, one pragmatically poses questions as appropriate to the phenomenon. 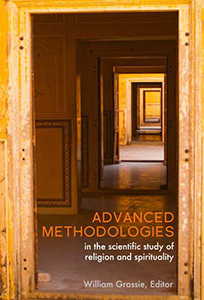 The established science then makes its way down into disciplinary textbooks, which are regularly expanded and updated. There is no grand unified epistemology of science, but within the many domains of science, there are exponentially more reliable facts. Science, I am asserting, can no longer be thought of as a privileged epistemology, but it is nonetheless a unified body of knowledge, knowledge that now presents itself as a privileged metanarrative that can be read historically, forward and backwards. Science as a body of knowledge is progressively true. This new evolutionary cosmology from the Singularity to the twenty-first century must now replace earlier religious cosmologies. The latter might be interpreted metaphorically and metaphysically, but in no sense, can we think of religious cosmologies in a literal sense. Reading sacred scriptures as science textbooks, for instance, is a huge and embarrassing category mistake. The interpretation of science, in its parts and as an epic whole, is open to numerous strategies. The Stoic and Existentialist interpretation favored by some contemporary oracles of science is but one of many strategies. Theistic interpretations of the new cosmology are not only plausible, but perhaps even more probable than the Stoic and Existentialist interpretation, which, I argue, is self-refuting in the actual purposeful lives of most scientists. A theistic interpretation of the Epic of Evolution, however, requires that we also radically reinterpret our traditional understandings of God and the universe. This, of course, is the larger agenda of our hosts, John Cobb and Phil Clayton, here at the Center for Process Thought. Robert Ulanowicz lets it be known that it is also part of his agenda in his book, which was published by the Templeton Foundation Press. My third set of questions for Ulanowicz concerns our understanding of the Second Law of Thermodynamics, which figures prominently in his third postulate and its corollary. Ulanowicz is trained as a chemical engineer, who then evolved into a systems ecologist and process philosopher. Ulanowicz certainly understands the mathematics, universality, elegance, and philosophical implications of the Second Law better than I do, but let me pose some perhaps naïve questions about the proper interpretation thereof. In the last point of my definition of science above, I argue that science can be organized hierarchically in terms of time, size, and emergent complexity. The latter is particularly problematic as we have no universally valid measurement of complexity, though the term seems intuitively apt in diverse disciplines. What emerges over time and also through different scales are layers of increasing complexity. In outline form, we can talk about seven stages, each of which has a new level of complexity and intensity. The earliest universe can be called the epoch of particles, which then leads to the epoch of galaxy formation. The epoch of stellar fusion leads to the epoch of planetary formation, and the chemical epoch leads to the epoch of biology. Most recently, we find ourselves in the epoch of culture, with the rapid evolution of intelligence and technology through collective learning. The previous epochs do not disappear. Subatomic particles, for instance, are present throughout, but new complexities are added onto the underlying structures (Chaisson, 2006). Eric Chaisson, who proposes this seven-staged schema, also calculates the energy-density flows at different levels of complexity. Energy-density flow is the amount of free energy flowing through a system in respect to its mass over time, in this case measured as erg per seconds per grams (erg s-1 g -1). The earth’s climasphere, which consists of the atmosphere and oceans, has roughly a hundred times the energy-density flow of a typical star or galaxy. Through photosynthesis, plants achieve an energy-density flow roughly a thousand times more than that of a star. The human body is sustained by a daily food intake resulting in an energy-density flow about twenty thousand times more intense than that of a typical star. Remember that we are comparing the ratio of energy consumed to mass of the objects. Here is another way to think of this. If a human body could be scaled up to the mass of our sun, it would be twenty thousand times more luminous (assuming it could obtain enough food energy!). The human brain, which consumes about 20 percent of our energy intake while constituting about 2 percent of our body weight, has an energy-density flow 150,000 times that of a typical star. And, finally, modern human civilization has an energy-density ratio some five hundred thousand times that of a typical star (Chaisson, 2001, 2006; Christian, 2004). Energy-density flow turns out to be a useful way to think about increased complexity, but it is not enough. We also need to introduce some concept of information, but here too we do not have a universally recognized measurement for and understanding of what constitutes information in the sciences. In the background of this discussion of increasing complexity is the Second Law of Thermodynamics, which states simply that entropy increases in any closed system. Without new sources of energy flowing into a system, the system will deteriorate into less complex, more diffuse states. In lay terminology, the Second Law of Thermodynamics is the certainty of death and taxes. Everything tends toward equilibrious disordered states (e.g., death), while disequilibrious ordered states (e.g., life) can only be maintained by paying energy-intake taxes. In other words, there are no free lunches, and you work until you die. The complexity of life on earth is ultimately sustained by the flow of energy from the sun to the planet, which energy is then captured by photosynthesis. The food we eat, and with which we think and act, is ultimately solar energy passed along through the food chain. Fossil fuels can be thought of as part of this photosynthetic energy flow. Contemporary eco-romantics get it partly wrong and partly right. There is always a cost to life, which we can refer to as the Great Eucharistic law: eat and be eaten. Without killing and harvesting energy from other sources, which means ultimately the sun, we would cease to exist. The slogan “reduce, reuse, recycle” is only partly right because what drives the evolution of increasing complexity on our planet and in the universe is actually “consume more energy in order to be more complex.” This is what Bertrand Russell calls “chemical imperialism,” as cited by Ulanowicz (p. 72-73). The real evolutionary morality tale can be better summed up in the new aphorism “minimize entropy, maximize creativity.” What environmentalists get right is the centrality of solar energy to our lives and the possibility that we can do complexity better, more elegantly, and less destructively. Note that sun-worshipping religions of the past intuited something profound about contemporary science and thermodynamics. While nothing violates the letter of the law—the second law of thermodynamics—the actual evolutionary history of the universe violates the spirit of the law. Science offers no adequate explanation for why the particular complexity we observe today should have evolved. Many other universes and many other types of complexity can be imagined. The observed complexification of the universe allows us to postulate a purposeful directionality in the universe. This purpose we shall tentatively characterize as increasing complexification. 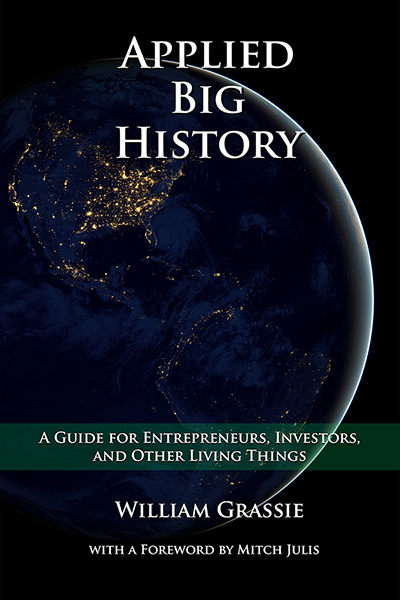 This inference can be made based on the observed history of the universe; the evolution of life on the planet; and the development of human culture, economics, science, and technology. At this point, it is useful to distinguish between teleonomy and teleology. The latter refers to a goal to which something aspires, as in Aristotle’s notion of final cause, a Platonic idea, or a Whiteheadean asymptote. Teleonomy, on the other hand, can be thought of as an implied trajectory based on past history and need not make reference to future purposes. The observed history of the universe––its teleonomy––is indicative of increasing complexification as the “purpose” of the universe––a possible teleology. Skeptics will immediately retort that the trajectory of the universe is death, in either an entropic dispersal of matter-energy or a cosmic collapse in a so-called “Big Crunch.” When the sun exhausts its nuclear fuel in another 4 billion years, we can predict the end of the earth, if not sooner. Earth’s complexity will eventually cease. The increased complexification that earth has experienced over the preceding 4 billion years is because of the energy flow from the sun. For the time being, the earth is not a closed system, so increasing complexity overrules the intractable necessity of entropy. We do not really know, however, whether the universe as a whole is actually a closed system, though this is the default assumption in cosmology. The theistic hypothesis, of course, is that the universe is not a closed system, that there is some kind of force—mind or being—that transcends the universe. In this formulation, information may be the key to understanding what it means to talk of God-by-whatever-name and the nature of divine intervention. This divine intervention, however, would be something more like Adam Smith’s image of an “Invisible Hand” at work within economic markets and therefore not something that is available to scientific proof, only endless interpretations. All of this is to say that I have questions for Ulanowicz about giving the “agonistic tendencies” and “dissipative forces” of the Second Law of Thermodynamics the last word in our metaphysical reconstructions of contemporary science. Certainly, we can point to the centrality of symbiosis as understood now by Margulis and others in evolution as a counter to the competitive models of life processes.11 Can we salvage Bateson’s term “negentropy” and better formalize it? Can we invent a better term? Should we understand our lives and consciousness through the lens of death and taxes, mere survival and reproduction, or is there also an element of extravagant generosity in the universe which demands appreciation and an attitude of gratitude? Ulanowicz defines a process as “the interaction of random events upon a configuration of constraints that results in a nonrandom but indeterminate outcome” (p. 29). I am uncomfortable with the use of the terms “random” and “nonrandom.” Instead let us banish the use of the terms “random” and “chance” from evolutionary biology and cosmology. Attributing probability one way or another in these historical sciences is pernicious. We really cannot know whether the macro-evolution of life on the planet is more the result of necessary patterns being manifested or whether it is instead more a matter of happenstance. Stephen Jay Gould can conduct a thought experiment about starting evolution over, but we cannot in fact rewind the tape and create a real experiment to test whether his thought experiment is really true (Gould, 1989, p. 50). The fine-tuning problem in cosmology leading to the so-called Anthropic principle is another case in point. We have one universe and we have one case of the evolution of life on the planet. Arguments about probability make little sense when N=1. We simply cannot tell whether necessities or chances are the case in these historical sciences, and the use of these terms, which are loaded with all manner of positive and negative connotations, is more ideological, than scientific. Ulanowicz artfully builds his case for process ecology with examples from themodynamics, cosmology, logic, computer science, and history, though curiously not so much from the field of ecology, in which he is a specialist. I note again that Ulanowicz was trained as a chemical engineer and I suppose once an engineer, always an engineer, even after his long and productive detour into “the subversive science” (Shepard & McKinley, 1969). I would have enjoyed examples from restoration ecology or failed ecological management projects, all of which would have also strengthen his case and had immediate practical implications for industry and policy makers. Ulanowicz opens by citing Gregory Bateson as one of the inspirations for this work. “If I am right,” wrote Bateson in 1972, “the whole of our thinking about what we are and what other people are has got to be restructured.” Bateson criticized what he referred to as “the pathology of epistemology,” and warned that “we may have twenty or thirty years before the logical reductio ad absurdum of our old positions destroy us” (Bateson, 2000) (Ulanowicz, p. 1). Let’s pause to remember how much the world has changed since 1972. The number of humans in the world increased from 4 billion to 7 billion (a 57 percent increase). World energy consumption measured in quadrillions of BTU increased from 235 in 1972 to 495 in 2007 (a 47 percent increase). I really don’t have a way of assessing and appreciating the loss of farmland, topsoil, forests, wildlife, watersheds, aquifers, and fisheries around the world that have occurred over the last thirty-eight years. I don’t know the proper calculus for measuring the proverbial half-full and half-empty cup when it comes to lost ecosystems. I fear that for many bioregions, it is already too late. I don’t quite know how to mourn these and other losses, as I partake in the benefits of our fossil fuel-driven economy. Following Bateson’s lead, Ulanowicz is motivated by the idea that we can think ourselves into new ways of acting, but recognizes in passing that this intellectual endeavor may have little consequence for the world. “For I worry that most of us have become reluctant to discuss deep assumptions about nature, preferring instead the refuge of a determined pragmatism or technocracy,” laments Ulanowicz. “It’s as if fundamental principles are not somehow immaterial to our quest for a more comfortable, healthier life” (p. 26). So this brings up my last set of questions and a challenge for us all. In what sense are these discussions more than just a new form of esoteric scholasticism. What difference will it really make to the practices of science and society, if we get over “the logical reductio ad absurdum” that Bateson deplores and adopt the process ecological metaphysics that Ulanowicz proposes? Is this really where we should be putting major effort, and if so, how do we ensure that this ideological project is maximally effective in reshaping attitudes and practices? How do we go from process ecology to process politics and process education? Let our deliberations somehow also serve to help in the crafting of a safer and healthier world. This paper was presented at a seminar on “Beyond Mechanistic Biology – The Relevance of Process Philosophy” hosted by John Cobb and Philip Clayton at Claremont School of Theology’s Center for Process Thought, July 19 – 21, 2010. Other participants included Lawrence Cahoone, Spyridon Koutroufinis, Brian Henning, Jesper Hoffmeyer, Adam Scarfe, Scott Turner, Robert Ulanowicz, and Bruce Weber. Absent were Scott Gilbert and Jeff Schloss. See my essay “Entangled Narratives” (Grassie, 2008) as well as chapter seven and eight in my book The New Sciences of Religion (Grassie, 2010b). This, of course, is a bold claim that should be substantiated. 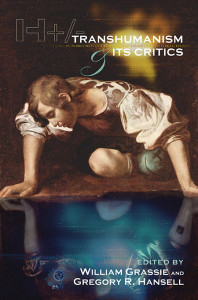 The rise and fall of Positivism is the basic outline of most introductory philosophy of science courses, though clearly many unreconstructed Neo-positivists remain in our midst and can be quite vocal and influential. Contemporary positivists are certainly not widely read in contemporary philosophy of science, typically having stopped with some version of Karl Popper. For an excellent review of contemporary debates within this evolving field, see (Tauber, 2009). One implication from this is that we might better teach the actual history of discovery, the methods and madness of real scientists, rather than teach the abstract formulation of some imagined hypothetical deductive method. Point three is to grant the phenomena an active role in determining how they are to be understood. If the “social construction” of science includes the phenomenon as an active participant in the “conversation” and “construction” about how it is to be understood by the community of scientists, then social constructionism loses its relativistic implications and instead results in a robust hermeneutics of critical realism. I owe these insights in part to my studies of A.N. Whitehead’s process metaphysics, which understands all actual entities to have an internal, self-creative “agency” or “subjectivity.” I extend these insights with some provocations from Paul Ricoeur, arguing that all of reality is also semantic-semiotic and that this intelligibility of nature is the precondition for human language, including all of our scientific “translation” projects. Finally, this analysis dovetails nicely with the work of C.S. Peirce. I address many of these cultural issues in my book Politics by Other Means: Science and Religion in the Twenty-First Century (Grassie, 2010a). See also https://www.metanexus.net. Energy density flow is only indicative of complexity as we see in comparing the brain to the kidneys. A pair of kidneys weighs about one-fourth as much as the brain, but consume roughly the same amount of energy as the brain as measured by oxygen consumption rates. We need to combine the concept of energy density flow with some understanding of informational complexity in order to develop a truly useful scale of complexity. There is no universal, cross-disciplinary definition of information within the sciences. In other writing, I develop a natural law philosophy which is grounded in an interpretation of 21st century science rather than Medieval Thomist theology. 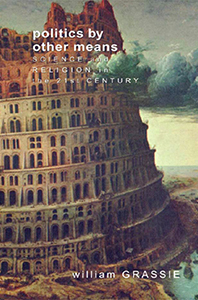 See The New Sciences of Religion (2010). Multiverse Theory also proposes that the universe is an open system. This interpretation has been advanced by physicist-turned-theologian John Polkinghorne. See, for instance, (Polkinghorne, 1989) (Polkinghorne, 1994) (Polkinghorne, 1998). See also the work of Philip Clayton (Clayton, 2004; Clayton & Davies, 2006). See (Gilbert & Epel 2009) for a discussion of symbiosis in evolution. In a similar vein, I have criticized the Intelligent Design movement for the use of the metaphor “design.” See (Grassie, 2005a) and (Grassie, 2005b). I am happy to attribute distributed intelligibility/intelligence to natural entities, which I maintain is a precondition for any science. In this respect, I want to recommend a wonderful book entitled Useless Arithmetic: Why Environmental Science Can’t Predict the Future (Pilkey & Plkey-Jarvis, 2007) (Grassie, 2007). Population and energy consumption data taken from the following Department of Energy sites:http://www.eia.doe.gov/aer/txt/ptb1101.html and http://www.eia.doe.gov/oiaf/ieo/highlights.html. Bateson, G. (2000). Steps to an Ecology of Mind. Chicago: University of Chicago Press. Chaisson, E. (2001). Cosmic Evolution: The Rise of Complexity in Nature. Cambridge, MA: Harvard University Press. Chaisson, E. (2006). Epic of Evolution: Seven Ages of the Cosmos. New York: Columbia University Press. Clayton, P. (2004). Mind and Emergence: From Quantum to Consciousness. New York: Oxford University Press. Clayton, P., & Davies, P. C. W. (Eds.). (2006). The Re-Emergence of Emergence: The Emergentist Hypothesis from Science to Religion. New York: Oxford University Press. Gilbert, S. F., & Epel, D. (2009). Ecological Developmental Biology: Integrating Epigenetics, Medicine, and Evolution. Sunderland, MA: Sinauer Associates. Gould, S. J. (1989). Wonderful Life: The Burgess Shale and the Nature of History. New York: W.W. Norton. Grassie, W. J. (2008). Entangled Narratives: Competing Visions of the Good Lie. Sri Lanka Journal of the Humanities XXXIV(1&2), 143-166. Grassie, W. J. (2010a). Politics by Other Means: Science and Religion in the Twenty-First Century. Philadelphia: Metanexus Institute. Grassie, W. J. (2010b). 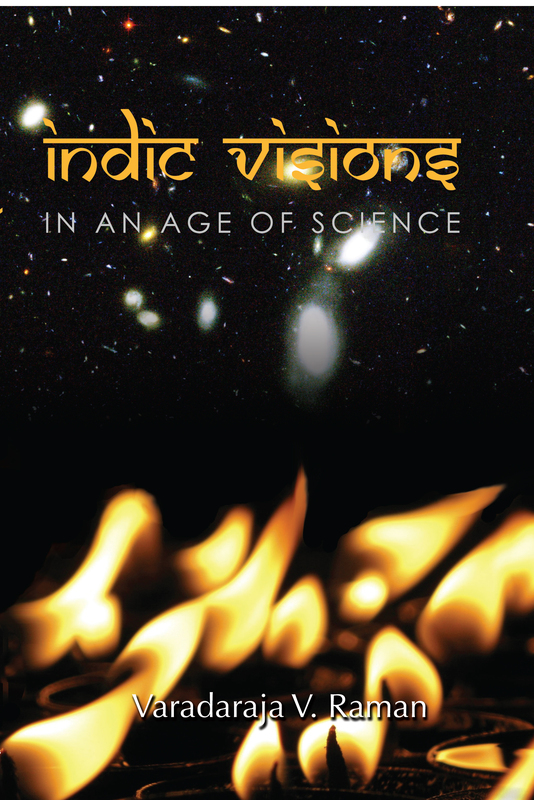 The New Sciences of Religion: Exploring Spirituality from the Outside In and Bottom Up. New York: Palgrave Macmillan. Pilkey, O. H., & Plkey-Jarvis, L. (2007). Useless Arithmetic: Why Environmental Scientists Can’t Predict the Future. New York: Columbia University Press. Polkinghorne, J. C. (1989). Science and Providence. London: SPCK. Polkinghorne, J. C. (1994). Faith of a Physicist, The: Reflections of a Bottom-Up Thinker. Princeton: Princeton University Press. Polkinghorne, J. C. (1998). Belief in God in an Age of Science. New Haven: Yale University Press. Sagan, C. (1996). The Demon-Haunted World: Science as a Candle in the Dark. New York: Ballantine Books. Shepard, P., & McKinley, D. (Eds.). (1969). The Subversive Science: Essays Toward an Ecology of Man. Boston: Houghton-Mifflin. Tauber, A. (2009). Science and the Quest for Meaning. Waco, TX: Baylor University Press. Ulanowicz, R. E. (2009). A Third Window: Natural Life beyond Newton and Darwin. Conshohocken, PA: Templeton Foundation Press.